Let me not be misleading. I did not want to see this movie. Not just because The Darkest Minds is yet another cinematic adaptation of a dystopian young adult novel. Ruby (Amandla Stenberg) is one of the very few children in America who have survived a virus, but survivors have been left with super powers. Deemed threats by the US government, they are rounded up, placed in internment camps and quarantined. That right. Within moments of “fade in,” the president of the United States is ordering that children be caged. I swear to God. The dystopian future is now. But the horrifying reality of our day-to-day world is not novelist Alexandra Bracken’s point, nor is it the point of screenwriter Chad Hodge or director Jennifer Yuh Nelson (Kung Fu Panda 2 & 3). No, their point, as is required by their genre, is that our protagonist is so very special. So very special. She just doesn’t know it. It’s also about evolution. It’s basically the youth of the world recognizing that they are the future and wondering why the hell they should wait to take over, seeing as how the adults are screwing things up to such a degree that we all may be dead before the youngsters can straighten things up. 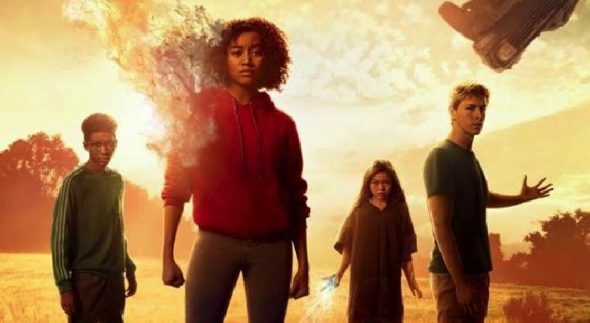 To be perfectly honest, The Darkest Minds is nowhere near as awful as the trailer made it out to be. Yes, it is predictable to a fault, but the performances aren’t terrible. There are also shades of moral ambiguity here that are uncommon in this type of film. Stenberg is a veteran of YA cinema—she’s Katniss’s beloved Rue from the original The Hunger Games, for God’s sake. That’s like ‘tween royalty. She’s exactly as awkward, angsty and unaware as she needs to be to become the vehicle for the “she’s so special” storyline. She’s surrounded by a capable cast of children and veterans that keep the story engaging and moving. The action is adequate at best, the villain obvious and bland, and the climax will leave most people a bit underwhelmed. And yet, I think these mutant kids may be right. They’ve convinced me. It’s time we just hand them the keys. They couldn’t do any worse, right?